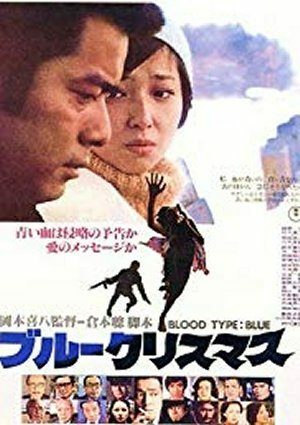 Blue Christmas (ブルークリスマス Burū Kurisimasu), also known as Blood Type: Blue or The Blue Stigma, is a 1978 Japanese science fiction film by director Kihachi Okamoto. It deals with prejudice against UFO witnesses whose blood is turned blue by the encounter. The close encounters occur on Christmas, hence the title.